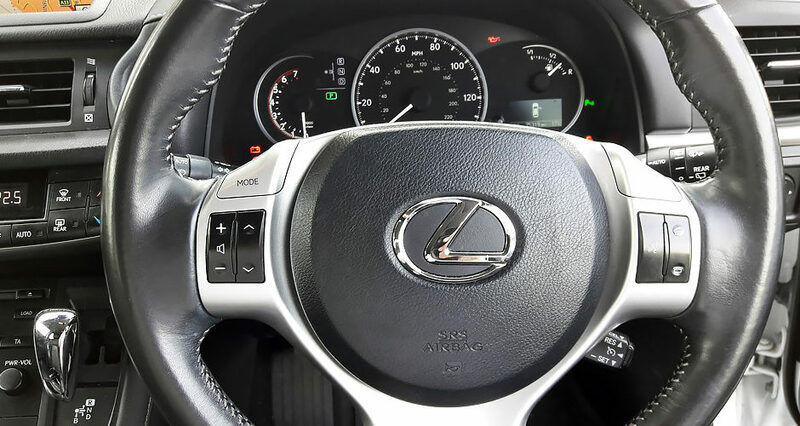 Two weeks after “clouting a kerb”, the owner of a 2011 Lexus CT200h Hybrid brought it in at 75,000 miles complaining of lack of damping and nasty noises from the impacted front corner. Surprisingly, initial inspection threw up very little bar slight tracking misalignment – no bent wheel, broken spring, bent suspension or blown damper seals. On the road though something was very wrong – this once premium hatchback was now feeling decidedly cheap with a loose, rattling front end on rough surfaces. Deeper investigation revealed some play in the steering rack arm joints and even some in the electric steering column itself when not powered up – neither directly related to the kerbing incident as it turned out. Fortunately we’re made of sterner stuff so, using connections from our Overfinch days, we removed the arms and had them re-made by an original equipment steering gear manufacturer (OEM) in Wales. When fitted and with everything re-aligned the little Lexus was entirely cured and felt nicely expensive once more. Aside from knowing that we had cut through the initial reported symptoms, and drilled down to the root cause remarkably quickly, the real winner here was the car’s owner who went away with an invoice for just a few hundred pounds, rather than what would have been nearly £2,000 had he gone about this via a more conventional route. NOT the Hybrid horror story it could have been then!